I talk a lot about the coming season's wardrobe lately. This is because I love Fall. I'm sure you fell the same. Haha! The warm colors covering the landscape is beautiful to behold. And who doesn't like layering outfits, right? Mixing and matching the wardrobe is fun to do. For this post, I'll be sharing 6 pieces from the online shop called Yoins . Three of which are transition tops from Summer to Fall. The rest are sweaters to cozy up for the cold weather. Keep on reading to find out more. 1. Lip prints and a bowknot design. What a flattering blouse is choice #1. I'd pair it with a cute midi skirt and heels. Jeans will also work just as great. 2. Level up your t-shirt game with this cute tee top with pretty eyes print (choice #2). It's versatile, simple and chic. Wear it whichever way you want. 3. Gingham is all over street style fashion this year. This style works just as well as a transition piece from Summer to Fall. 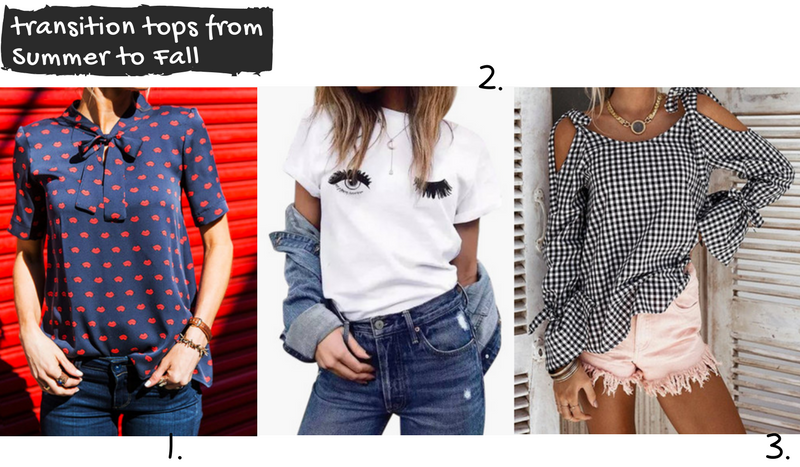 Now, these are only 3 stylish tops for women I've chosen from the online shop. Sigh, if only I could fit them all here in one post. Now that I've experienced the 4 seasons since moving to the US, stacking up on sweaters is essential. A girl can't have enough of them, yeah?! I like the variety of colors and designs for fashion women sweaters online. They are budget-friendly as well. Above are 3 of my favorites from this online shop. 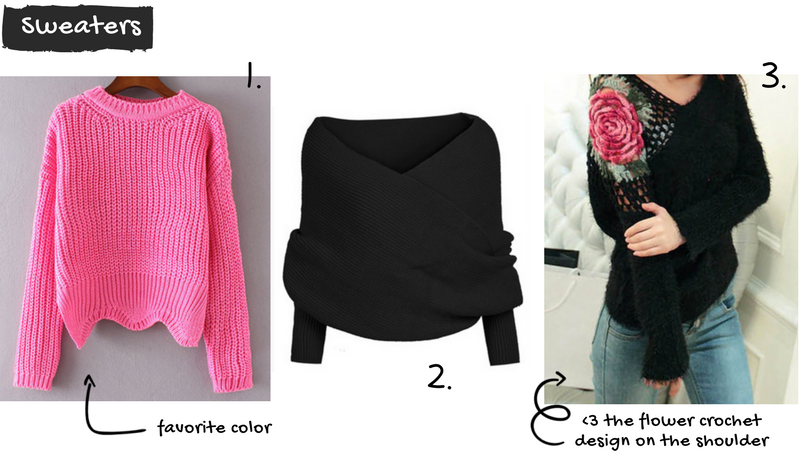 I especially like the flower crochet design on the shoulder on sweater #3. So what's your favorite from the list?